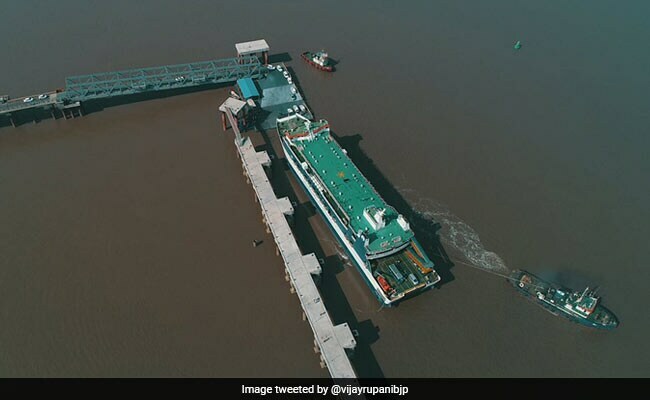 A "passengers only" ferry on the route was flagged off by Prime Minister Narendra Modi in October last year ahead of the Gujarat Assembly polls. Vijay Rupani said that the ferry service would later be extended to Mumbai. 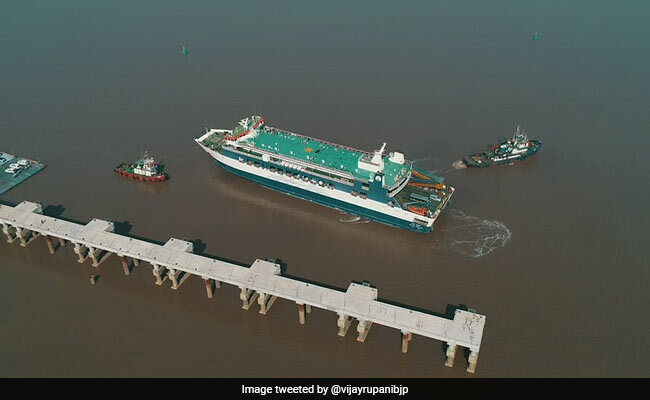 The "Ro-Pax" (roll on/off-passenger) ferry service connecting Ghogha in Saurashtra and Dahej in south Gujarat through the Gulf of Cambay was launched Saturday by Chief Minister Vijay Rupani. "Flagged off the RO-PAX ferry service today from the RORO terminal at Ghogha, Bhavnagar. The RO-PAX ferry service will boost tourism and generate employment opportunities while saving fuel and reducing transportation costs at the same time," Mr Rupani tweeted. 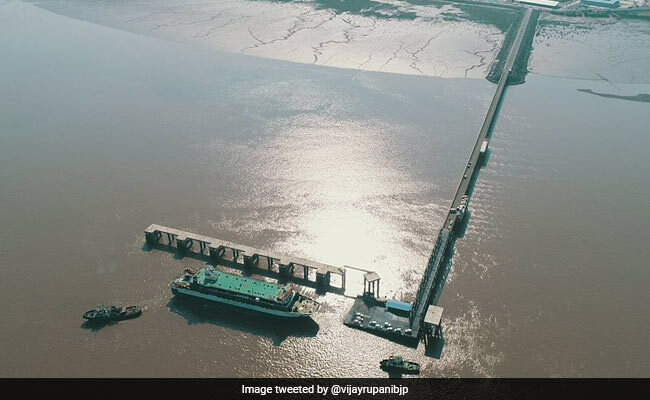 Mr Rupani also travelled on the ferry which cuts the distance between Ghogha and Dahej via sea route to just 30 kilometres when compared to 300 kilometres by road, and the travel time from 10-12 hours (by road) to 1.5 hours (by sea). Mr Rupani later said that the ferry service would be extended to Mumbai. "I am positive that looking at the online booking and response, we will have to raise the number of seats. We will also begin passenger service between Hazira and Ghogha and extend the service till Mumbai," he said. The ferry can carry around 60 trucks, five to seven buses, 35-40 cars and an equal number of bikes in addition to 525 passengers, a senior official of the Surat-based Indigo Seaways Pvt Ltd (ISPL), the firm operating the service, had said Thursday. The firm is operating the service with Gujarat Maritime Board under the public-private partnership model.